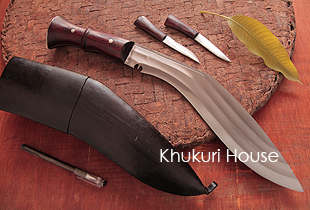 New Khukuri blade by Khukuri House will be dedicated to Nepal's pride, one of the VC holder Mr Agamsing Rai. Though this World War hero is no longer with us, KH would like to honor him by naming his good name on our new Khukuri so can be remembered and will continue to live on through this Khukuri blade. Mr Rai was from the 5th Gurkha Rifles and in June 1944 on 26th is what he did on this day won him the Victoria Cross medal. After a preliminary artillery concentration, the company went into the attack but on reaching a false crest about 80 yards from its objective, it was pinned down by heavy and accurate fire from a machine gun in Mortar Bluff and a .37 mm gun in the jungle, suffering many casualties. Naik Rai, appreciating that more delay would inevitably result in heavier casualties, at once led his section under withering fire directly at the machine gun and firing as he went, charged the position, himself killing three of the crew of four. Inspired by his cool act of bravery the section surged forward across the bullet swept ground and routed the whole garrison of Mortar Bluff. This position was now under intense fire form the .37 millimeter gun in the jungle and from 'Water Piquet', Naik Agamsing Rai at once advanced towards the gun, his section without hesitation following their gallant leader. Intense fire reduced the section to three men before half the distance had been covered but they pressed on to their objective. Arriving at close range, Naik Agamsing Rai killed three of the crew and his men killed the other two. The party then returned to 'Mortar Bluff' where the rest of their platoon were forming up for the final assault on 'Water Piquet'. In the subsequent advance, heavy machine-gun fire and showers of grenades from an isolated bunker position caused further casualties. Once more, with indomitable courage, Naik Agamsing Rai, covered by his Bren gunner advanced alone with a grenade in one hand and his Thompson sub-machine gun in the other. Through devastating fire he reached the enemy position and with his grenade and bursts form his Thompson sub-machine gun killed all four occupants of the bunker. The enemy now fled the onslaught on "water piquet" and this postion was captured. A Must Have Khukuri in your collection and to Honor a War Hero.